Dr. Thorne will provide a composite resin, or white filling, that is durable, long lasting, and will combat the stress of the normal, everyday chewing. These are proven to be very successful and also allow you to laugh and smile without showing any silver substances in your teeth. White fillings are made from powdered glass or quartz combined with a resin base. This is a process that can be a good choice for those afraid of any drilling or hard dental procedures. 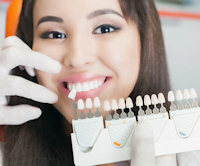 Your dentist will simply bond the white filling in place, which can mean less drilling involved. The filling also protects the tooth from any dramatic temperatures and can support remaining tooth structure by preventing any breaks. A root canal is a treatment used to save teeth that have become infected or are extremely damaged. There must still be enough tooth left to restore or another treatment such as an implant may be indicated. During a root canal procedure, the nerve and pulp are removed and the inside of the tooth is cleaned and sealed. Without treatment, the tissue surrounding the tooth will become infected and abscesses may form. Tooth pain upon chewing, prolonged sensitivity to hot and cold temperatures, or swelling and tenderness in nearby gums may indicate the need for treatment. Liberty Family Dentistry administers not only oral sedation, but also IV sedation for all procedures, complex or minor. We also offer nitrous oxide, or “laughing gas,” for any procedure, including cleanings (when requested). A dental veneer is a thin piece of material that can be bonded to the surface of your tooth to alter its shape or appearance. Our veneers for teeth are made with a beautiful, high quality porcelain that looks completely natural. If you’ve ever wanted a perfect smile, porcelain veneers can be used to accomplish your smile goals. Your cosmetic dentist at Liberty Family Dentistry can use veneers for teeth to fix the appearance of chips, cracks, and other tooth damage. Dr. Mason can also use veneers to decrease gaps between teeth, alter a tooth’s shape or length, make teeth look straighter without braces, and make teeth look whiter without whitening. Liberty Family Dentistry offers the Start Pure Professional Whitening System, tailored to deliver a brilliant white smile in less than 30 minutes. Start Pure is an FDA registered green certified company and product. With this systems' fast effective patented technology and comfortable preloaded silicone trays, your teeth will be whiter and brighter in no time. You will experience virtually no sensitivity and whiter results. Click here for more information about the Start Pure system. A dental implant is a natural looking artificial tooth root that is placed into your jawbone. Dental implants are extremely strong and long lasting. However, dental implants may have to be re-tightened or replaced overtime. A dental implant looks, feels and functions like a natural tooth. The process of dental implants may take up to nine months to complete. The dentist will perform surgery to mainstay the “artificial root” into or on the jawbone. Next, the gum is obtained over the implant, which must remain covered until it integrates with the bone. Afterwards, the dentist uncovers the implant and attaches an extension to the implant. Finally, the dentist makes an artificial tooth, or crown, that is joined to the implant post. A fixed dental bridge is a non-removable prosthesis that is attached to the remaining natural teeth. It functions to fill the space of missing teeth, helps uphold facial shape, prevents remaining teeth from shifting out of position, and rebuilds chewing and speaking ability. In our office, bridges can be completed in one visit, meaning no need for messy impressions, uncomfortable temporaries or the need to return for your permanent bridge placement. 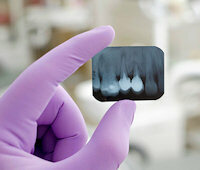 There are many forms of dental treatment which can be used to save a tooth. However, there are still some situations where it is necessary to extract one or more teeth to achieve better oral health and comfort for the patient. Our friendly staff will explain the procedure to you prior to starting treatment and do everything possible to minimize the pain and the recovery time from the extraction.